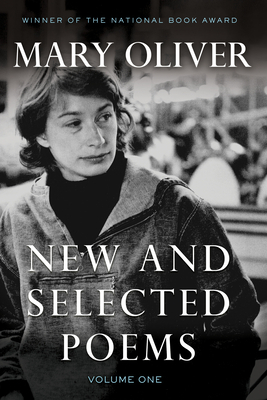 Mary Oliver was awarded the National Book Award for New and Selected Poems, Volume One. Since its initial appearance it has become one of the best-selling volumes of poetry in the country. This collection features thirty poems published only in this volume as well as selections from the poet's first eight books. Mary Oliver's perceptive, brilliantly crafted poems about the natural landscape and the fundamental questions of life and death have won high praise from critics and readers alike. "Do you love this world?" she interrupts a poem about peonies to ask the reader. "Do you cherish your humble and silky life?" She makes us see the extraordinary in our everyday lives, how something as common as light can be "an invitation/to happiness,/and that happiness,/when it's done right,/is a kind of holiness,/palpable and redemptive." She illuminates how a near miss with an alligator can be the catalyst for seeing the world "as if for the second time/the way it really is." Oliver's passionate demonstrations of delight are powerful reminders of the bond between every individual, all living things, and the natural world. A private person by nature, Mary Oliver has given very few interviews over the years. Instead, she prefers to let her work speak for itself. And speak it has, for the past five decades, to countless readers. The New York Times recently acknowledged Mary Oliver as “far and away, this country’s best-selling poet.” Born in a small town in Ohio, Oliver published her first book of poetry in 1963 at the age of 28; No Voyage and Other Poems, originally printed in the UK by Dent Press, was reissued in the United States in 1965 by Houghton Mifflin. Oliver has since published many works of poetry and prose. As a young woman, Oliver studied at Ohio State University and Vassar College, but took no degree. She lived for several years at the home of Edna St. Vincent Millay in upper New York state, companion to the poet’s sister Norma Millay. It was there, in the late ’50s, that she met photographer Molly Malone Cook. For more than forty years, Cook and Oliver made their home together, largely in Provincetown, Massachusetts, where they lived until Cook’s death in 2005. Over the course of her long and illustrious career, Oliver has received numerous awards. Her fourth book, American Primitive, won the Pulitzer Prize for Poetry in 1984. She has also received the Shelley Memorial Award; a Guggenheim Fellowship; an American Academy and Institute of Arts and Letters Achievement Award; the Christopher Award and the L.L. Winship/PEN New England Award for House of Light; the National Book Award for New and Selected Poems; a Lannan Foundation Literary Award; and the New England Booksellers Association Award for Literary Excellence. Oliver’s essays have appeared in Best American Essays 1996, 1998, 2001; the Anchor Essay Annual 1998, as well as Orion, Onearth and other periodicals. Oliver was editor of Best American Essays 2009. Oliver’s books on the craft of poetry, A Poetry Handbook and Rules for the Dance, are used widely in writing programs. She is an acclaimed reader and has read in practically every state as well as other countries. She has led workshops at various colleges and universities, and held residencies at Case Western Reserve University, Bucknell University, University of Cincinnati, and Sweet Briar College. From 1995, for five years, she held the Catharine Osgood Foster Chair for Distinguished Teaching at Bennington College. She has been awarded Honorary Doctorates from The Art Institute of Boston (1998), Dartmouth College (2007) and Tufts University (2008). Oliver currently lives in Provincetown, Massachusetts, the inspiration for much of her work. Beacon Press maintains a Mary Oliver website, maryoliver.beacon.org. You can also become a fan on Facebook at www.facebook.com/poetmaryoliver.